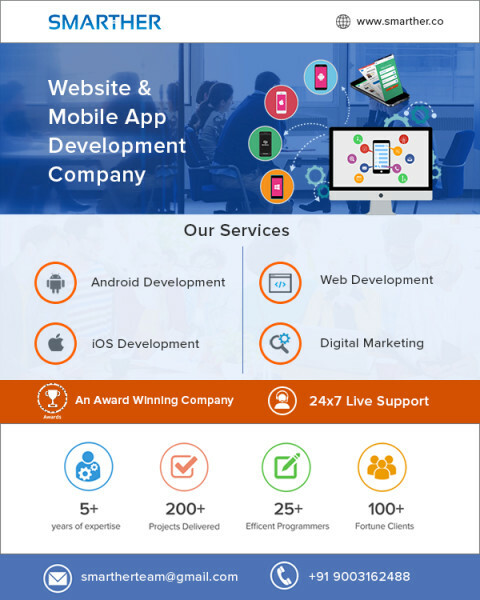 We Smarther, a leading website and Mobile app development company offering excellent mobile based application services. We deliver high-quality mobile apps that satisfy client needs. Deliver apps both in Android and in iOS platforms. We have a team of highly passionate mobile app developers experienced in delivering projects on-time. Delivered around 100+ mobile apps and 200+ websites across the globe.